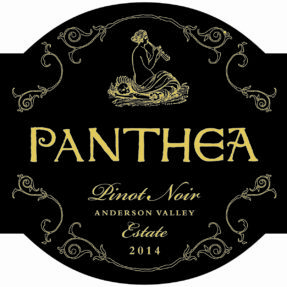 The newest release of our Award Winning Estate Vineyard. 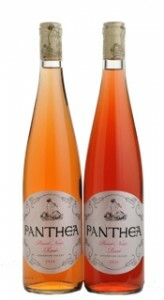 Crafted with the most select grapes harvested from the Panthea Estate, Klindt & Filigreen Vineyard designates. Welcome to Summer in a glass! 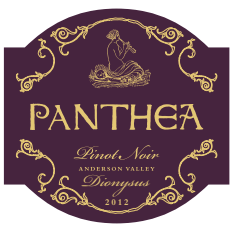 Grapes from Panthea’s Estate Vineyard & the Biodynamic Filigreen Vineyard. 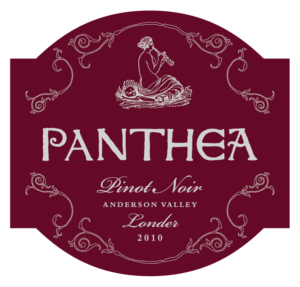 Panthea Winery & Vineyard, while a serious, committed affair, is not your typical winery operation. There is no front office. There is no year-round staff. But each fall when the harvest bell rings, friends and family converge to see it through with fun, jubilation and Kelly’s guiding vision-the alchemy of art and science. It is a decided old world effort of hard work and love. Today, Kelly, his wife Jessa & their son Griffyn strive to celebrate art, life, community and wine, creating a culture of authenticity while evolving their pinot noir. This is all radiant in the wine.